Alisson: "We believe we can win the league. 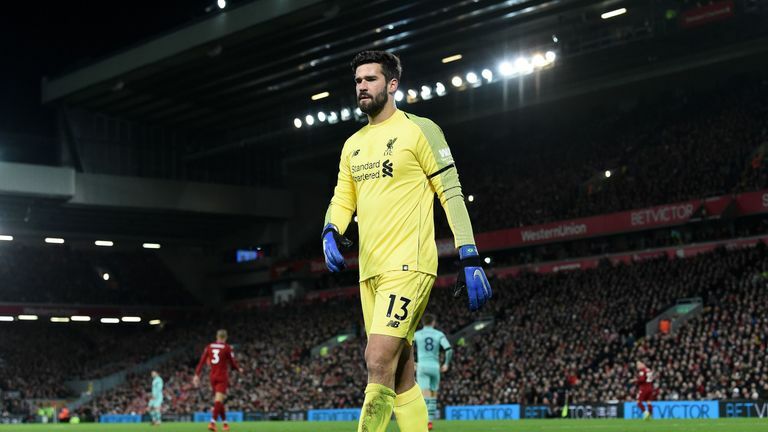 We've shown in the past that we're good enough and we'll continue to show this in the games we've got to come"
In an interview with Sky Sports, Liverpool goalkeeper Alisson played down talk of nerves creeping into their Premier League title chase. Alisson has played down any talk of nerves as Liverpool bid to win the title for the first time in 29 years, saying the club still believe they can win the Premier League. Manchester City are back on top of the table on goal difference having trailed Jurgen Klopp's team by 10 points in late December. It leaves Liverpool, who can go back to the top when they play Bournemouth on Saturday, in second with a game in hand but after back-to-back draws with Leicester and West Ham, they are under pressure to get back to winning ways. When asked if nerves are playing a part, the Brazilian goalkeeper told Sky Sports: "I wouldn't say anything on the matter. "We believe we can win the league. "We've shown in the past that we're good enough and we'll continue to show this in the games we've got to come. "Our pressure is the same," he added. "We take things game by game without worrying about what our opponents are doing. "Everyone wants to win this league but at Liverpool our concern is winning games and not dropping points. 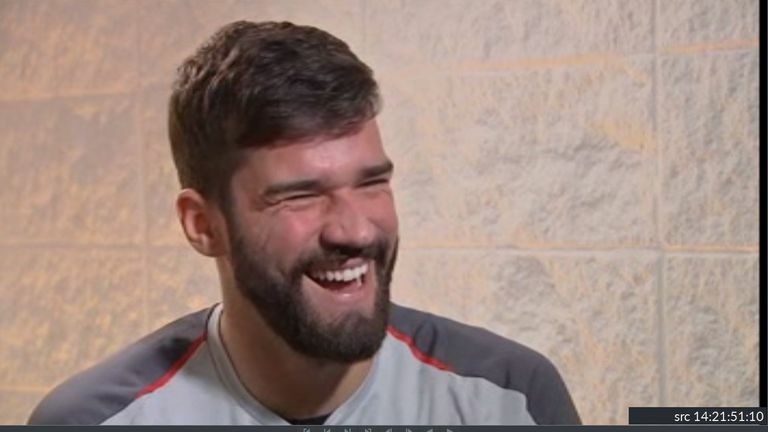 Liverpool goalkeeper Alisson admits learning English has been the most difficult aspect of life in the Premier League - but he gives his best go at Scouse. "We don't think about Man City, we think about ourselves. We only think about what we can do and how things are moving forward." That starts on Saturday, according to the Brazilian, who says Liverpool's game against Bournemouth at Anfield is a must-win for Klopp's side. 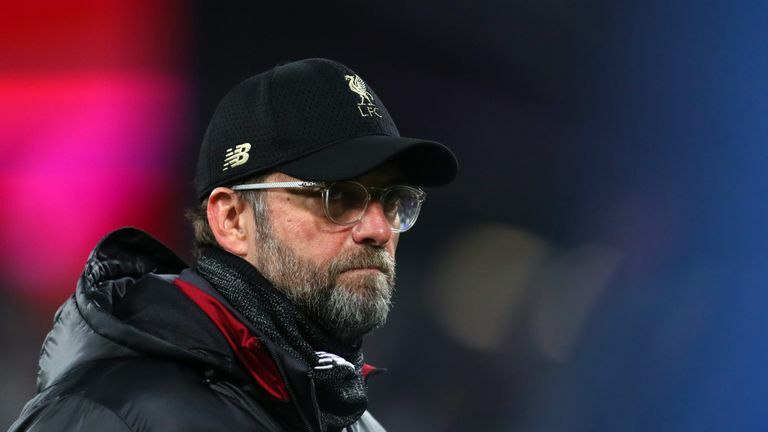 Liverpool's recent struggles in the Premier League title race have been caused by injury problems rather than nerves and pressure, according to Danny Higginbotham. "I really want to win the Premier League with Liverpool," said the goalkeeper. "We need to win games and we need to focus on our next opponent. "To get back to the top of the league we need to win games that comes from hard work, starting on Saturday."